Zeigarnik first studied the phenomenon after her professor, Gestalt psychologist Kurt Lewin, noticed that a waiter had better recollections of still unpaid orders. However, after the completion of the task – after everyone had paid – he was unable to remember any more details of the orders. More formally, the effect is the ability to more easily remember uncompleted tasks than completed ones. See here for a short review of the phenomenon; here for a more extended and discursive review; here for some more experiments. Presumably, uncompleted tasks continue to occupy working memory, whereas completed tasks, unless they have been committed to long-term memory, are evanescent and disappear in a time-dependent fashion. And why would you bother committing last weeks sent emails to memory? All you need is to remember how to access them and then look them up. […] in the summer of 1940, Bluma’s husband was arrested on the charge of having spied for Germany. He was sentenced to ten years in prison camp without right of correspondence. So Bluma was left with two children, one of which was less than a year old, the other six years old. With this terrible loss of her husband, she embarked on a new phase in her life. She began to make regular visits to the Lubyanka to find out about his fate. And, of course, she also began to experience material difficulties. With such a turn of events, Bluma could only expect that her friends and colleagues might turn away from helping her, in fear of their own safety. However, this was not the case. Instead, she received moral support from many people, and not only from those who were in a similar situation. Especially notable was Aleksandr Luria, who graciously assisted her in every way possible, and her very close friend Susanna Rubinshtein, whose support, if it does not sound hyperbolic, looks today like an act of heroism. Not only was Susanna courageous enough to accompany Bluma to the Lubyanka, she also went there in her place. In those days, few would have taken such a step. The events of these years left a deep impression on Bluma for the remainder of her life. Fear became the focus of her daily life, especially her fear for the fate of her children. She built up an internal censor, such that extreme reservation appeared in place of the genuine openness that had been such a vital part of her character. Within the family, she avoided discussions about relatives who lived abroad, or about the pre-Berlin and Berlin periods of her life. Anything that linked her to Western science became a de facto taboo. 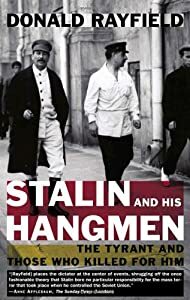 There are many similar tragic stories in the pages of Donald Rayfield‘s tremendous, depressing and astounding history of the Great Terror, Stalin and His Hangmen. Mentioned in passing above as providing support is Alexander Luria, one of the founders of neuropsychology, and whose book ‘The Mind of a Mnemonist‘ I often recommend to those interested in accounts of extraordinary memory. Also mentioned is her brave friend, Susanna Rubinshtein, about whom there appears to be little online. The previous link leads to a book on psychopathology in Russian – so I guess this might be a book by Zeigarnik’s friend (I don’t read Russian), assuming she was a psychologist too, which seems likely. No, forgetting completed tasks is not a pathology -more a form of everyday, adaptive amnesia. UPDATE: thinking a little further about this, it seems to me the best way to overcome the design amnesia here is not to attempt to interrogate the contents of your own long-term memory for tasks completed – unless they are immediately available to conscious recollection. Instead, a better strategy would be to treat the external environment as a series of ‘cognitive surfaces‘ or ‘mnemonic supports‘ – go inspect the records of what you have done instead. It also seems probable that the Ziegarnik effect will apply principally to non-declarative or habit-based, implicit memories – recall of routinised behaviours is difficult at the best of times. Try recalling a car journey – you’ve experienced it, but you remember little of it, unless something out of the ordinary occurs. My book ‘Why Torture Doesn’t Work: The Neuroscience of Interrogation’ (Harvard University Press) examines brain function under stress and duress, and the science, ethics and practice of human information gathering.